Activist investors are pushing for the split MGM Resorts International (NYSE:MGM) into a separate real-estate investment trust and hotel management company. CNBC reports that hedge fund, Land and Building, based in Connecticut, thinks that MGM Resorts remains undervalued at its current form and converting it into a REIT could increase its value by 70%. The hedge fund wants MGM Resorts International (NYSE:MGM) to tap more into the fast-growing Las Vegas economy by separating its real estate assets and properties in Asia. MGM Resorts CEO, James Murren, is on record saying that they are more than ready to go through the conversion as long as it guarantees shareholder value. “I have bought a lot of companies in my career and sold a lot of companies that’s easier, this is a little more complicated, which doesn’t mean we won’t do it or do parts of it just means it takes more time,” said Mr. Murren. Investors are fond of pushing for REIT’s as by law, they are entitled to pay out at least 90% of their taxable earnings to shareholders as dividends. REITs don’t incur federal income tax on earnings meaning shareholders will always generate good value on any growing business. Land and Building is pushing MGM Resorts International (NYSE:MGM) to transform into a REIT in a move that will see the formation of a publicly traded company for managing hotels and property businesses in Las Vegas. Land and Building CIO, Jonathan Litt, believes splitting MGM Resorts International (NYSE:MGM) into a REIT could help cut its debt by half and boost its share price especially on becoming a U.S. taxpayer. The split could also allow MGM China to take advantage of tax credits that the parent company enjoys and be able to pay dividends in the long run. 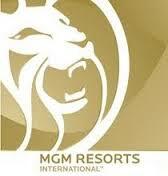 “We would like to see MGM China being a smaller part of this company 85% of the EBITDA comes from the United States. Vegas is back for the first time since the financial crisis, so we think Vegas being back, China being weak is creating the opportunity their taxes are coming up, they can pay down debt. Lots of things going forward suggest that this is the time for them to be looking to doing a REIT,” said Mr. Litt.